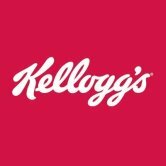 Kellogg's is celebrating the real Aussies who love a bowl of its cereal in a new campaign. Created by JWT Sydney, the work shows a bikie, a mermaid and a crane-driver enjoying 'My Perfect Bowl' in their own unique ways. In the documentary-style ads there's Dane, who works on a crane and eats his Just Right cereal while watching the city wake 30 storeys high in his building. Then there's Colin who’s been a fan of Corn Flakes for 65 years, and Annie Mation, a drag queen who loves her Rice Bubbles after a late-night show. JWT Sydney creative director Sinead Roarty said it wanted to bring genuine love for the cereal to its ad and show the stories of those who eat it. “'My Perfect Bowl' isn’t just a campaign about cereal. It’s a portrait of contemporary Australia,” Roarty said. Kellogg’s marketing director ANZ Tamara Howe said the work revealed the many ways Australians enjoy the its products. “Whether it’s the topping they put on or the time of day they have it, it’s their perfect bowl – and why mess with perfection?” Howe said.